With over 20 years of work experience from the business sector, 12 of the years in various management positions, and an Executive MBA from Henley Management College in London, Tania Ellis has extensive theoretical and practical experience in bridging people’s needs with business needs. The principle of giving back while you're growing is reflected in Tania Ellis's engagement in a wide variety of projects and initiatives that create both economic and social value. Virksomhedens etik og ansvar skal være mere end et PR-stunt. Drevet af visioner og praktisk sans droppede Tania Ellis for otte år siden sin vellønnede lederstilling. Hun ville arbejde for samfundsansvarlighed og bæredygtighed i skandinaviske virksomheder. Nu har hun vundet international anerkendelse for sit engagement. Tania Ellis (b. 1969) is a Danish-British prize-winning writer, speaker and business innovator, specialized in social business trends and strategies. Her expertise and hands-on involvement in blending economic and social value with business strategy and innovation has made her a popular inspirational speaker and strategic advisor with clients ranging from entrepreneurial companies to large international corporate brands. Growing up in a dual nationality family combined with extensive travelling and a childhood and early adulthood in Denmark, Turkey and Zambia, has shaped Tania Ellis’ worldview and hybrid mindset: there is often more than one answer to a question, there are no definite truths, and there are most certainly already ideas and solutions out there just waiting to be discovered. The principles of the “Why Not’s” and “Both/And’s” rather than the “Cannot’s” and “Either/Or’s” have consequently driven Tania Ellis’ way of thinking and living, which is also reflected in her professional work life today. At the age of 22 Tania Ellis entered her first management position, and at the age of 28 she was deputy manager of 15 middle managers and 250 employees. With over 20 years of work experience from the business sector, 12 of the years in various management positions, and an Executive MBA from Henley Management College in London, Tania Ellis has extensive theoretical and practical experience in bridging people’s needs with business needs. Read more about her professional background here. 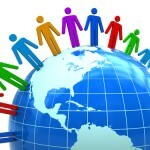 In 2003 she founded her own communications and consulting company, The Social Business Company® (former Inspiratorium®) with the purpose of guiding and inspiring individuals and organisations to engage in innovative and sustainable practices that generate both social and economic value. Read more about Tania Ellis’ WHY and the purpose of her own company here. Over the years Tania Ellis has been involved in numerous projects and honorary offices that focus on social and economic value creation. 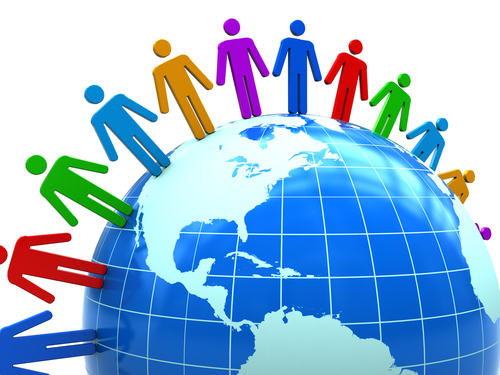 See list of projects and honorary offices here. Tania Ellis’ expertise and hands-on involvement in blending economic and social value with business strategy and innovation has made her a popular inspirational speaker and strategic advisor for companies and organizations, who want to make sure that their business strategy, employee engagement efforts, customer programmes or new products and services are aligned with emerging global social business trends. Tania Ellis’s reference list includes a versatile roster of multinational corporations as well as some of Scandinavia’s most respected organizations and companies. See list of Clients & Cases here. As one of Scandinavia’s leading social business experts and front-runners, Tania Ellis has over the years continuously set the agenda by identifying new trends and business concepts built on the values of ethics, responsibility, sustainability and meaning. In 2003 she wrote her Executive MBA dissertation The Era of Compassionate Capitalism to document how changing values in society and spiritual search influence the demands in work life, leadership and business. In 2004 she won the Danish business magazine Berlingske Nyhedsmagasin’s prize award for her paper A Leadership Model for Future Denmark [En Ledelsesmodel for Fremtidens Danmark]. Read her papers here. 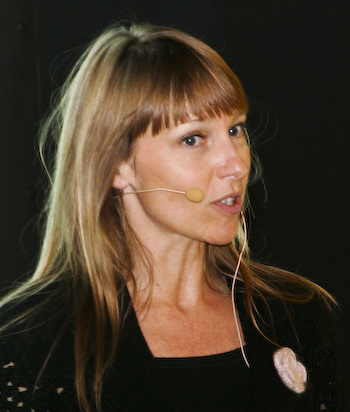 Tania Ellis has authored dozens of articles on social business trends, and is a popular expert commentator with regular features and contributions in national and international media like Berlingske Tidende, Børsen, Monday Morning, the South African Human Capital Review, The European Financial Review and The Guardian. Most recently she has been invited by the Danish Ministry of Business and Growth to contribute as expert blogger on its international website DanishResponsibility.dk. You can find all Tania’s articles and interviews here. Tania Ellis’s book contributions include the first Danish book on social innovation and social entrepreneurship, De Nye Pionerer (Jyllands-Postens Forlag 2006), The CSR World Guide (Greenleaf Publishing 2010), the Danish anthology on social entrepreneurship, Socialt Entreprenørskab (Børsens Forlag 2010), and her internationally acclaimed book The New Pioneers (Wiley 2010). Read more about her books here. 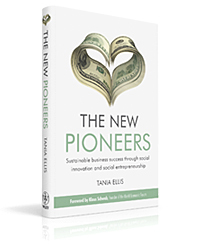 Her most recent book, The New Pioneers – Sustainable business success through social innovation and social entrepreneurship (Wiley 2010) has been praised as a ”handbook for the global revolution” with endorsements from, among others, Klaus Schwab, founder of the World Economic Forum. In 2010 the book was listed on Cambridge’s Top 40 Sustainability Books along with authors such as Al Gore, Joseph Stiglitz and Muhammad Yunus. In 2011 The New Pioneers was published in Thai. Read more about The New Pioneers here. In 2014, Tania Ellis was recognized with the Women Leadership Excellence Award at a ceremony in Mumbai, India. The Award was conferred to her ‘for her significant contributions towards social change and purpose of guiding and inspiring individuals and organizations to engage in innovative and sustainable practices that generate both social and economic value’. All this has cemented Tania Ellis’s status as a global trendspotter and thought leader, and has given her Scandinavian-based activities a global outreach with a growing international audience and client base from both the old and new economies.